Tip #11: Does My Greenhouse Need a Permit? One of the first things a person must address when purchasing or building a greenhouse is what permits are required. The last thing a gardener needs is to purchase or build a greenhouse that doesn’t meet the local code requirements. Every community is different so there is no standard when it comes to permits for greenhouses. However, finding out which permits are necessary is a relatively simple process and most potential greenhouse owners should be able to take care of it themselves. There are two types of permits that need to be considered when building or purchasing a greenhouse. Those two types of permits are zoning permits and building permits. A potential greenhouse owner should check with his or her local zoning department to see what is required. Zoning permits regulate the location of the greenhouse on the property. For example, a zoning permit will specify how close to the lot lines you are permitted to build. This could be the side, rear, or front lot lines and will be determined by your community’s rules and regulations. For instance, some communities may require that the greenhouse be built at least 20 feet away from the lot lines. Again, every community is different so be sure to check with your local zoning department to see how zoning permits affect your area. Zoning permits will sometimes regulate the number of accessory buildings (greenhouses usually fall into this category) you can have on your property. Sheds and other outbuildings may be considered accessory buildings as well. The size of the building will also be taken into consideration by the zoning department. For example, the zoning department may decide that greenhouses which are under 200 square feet need no additional building permits. In some cases, after meeting the zoning requirements, a potential greenhouse owner will have to get a building permit. Building permits are typically issued by a county building department. Building codes look at the structural integrity and the physical appearance of the building. While many rural areas do not require any permits for accessory or agricultural buildings, most urban areas have some requirements. The building codes that address the structural integrity of a greenhouse generally deal with wind and snow loads and are specific to that geographical location. 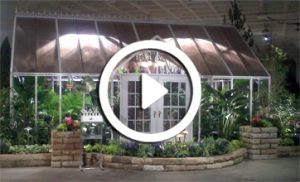 One of the first things to consider is whether you want a freestanding or attached greenhouse. Attached greenhouses normally require a building permit because they are considered an addition to the home and not an accessory building. As far as building codes go, attached greenhouses are typically treated similarly to the addition of a sunroom. The building codes that deal with the appearance of the building will vary greatly from community to community. There may be regulations on how an accessory building appears. These rules are usually in place to maintain a high level of aesthetics in the neighborhood. In most cases, a greenhouse is welcomed by the community. Some homeowners’ associations or condo associations may have stricter requirements on accessory buildings. They may even have their own architectural review board which would need to approve the greenhouse design prior to construction. In the rare case that a greenhouse doesn’t meet the local requirements, you can apply for a variance. 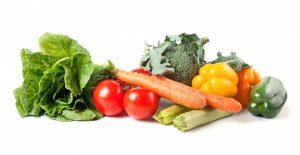 In most cases, a variance is possible because people like the idea of organic gardening in a greenhouse and local officials usually try to accommodate them. Regardless of your location, experienced greenhouse manufacturers will help you work through the regulations process. In some cases, they may go as far as helping apply for variances or discussing your plans with a homeowners’ association. Greenhouse manufacturers with quality customer service won’t mind taking a few extra steps to ensure you get the right permits for your dream greenhouse.